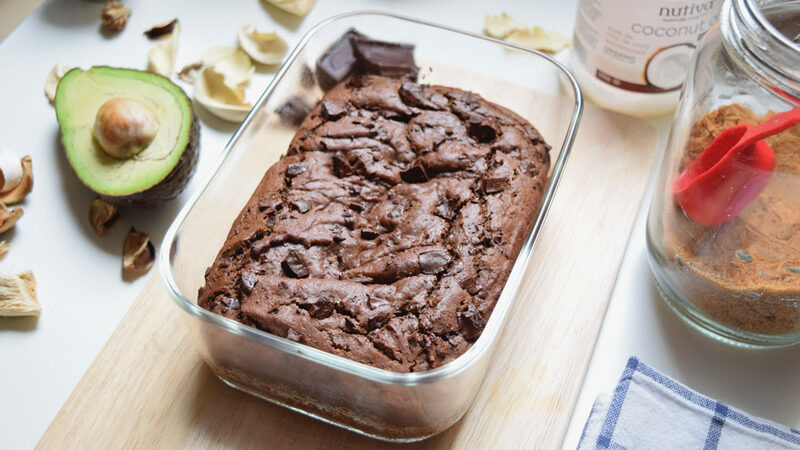 I know I know… when you read avocado and brownie in the same sentence, at first it sounds wierd. Thust me though! 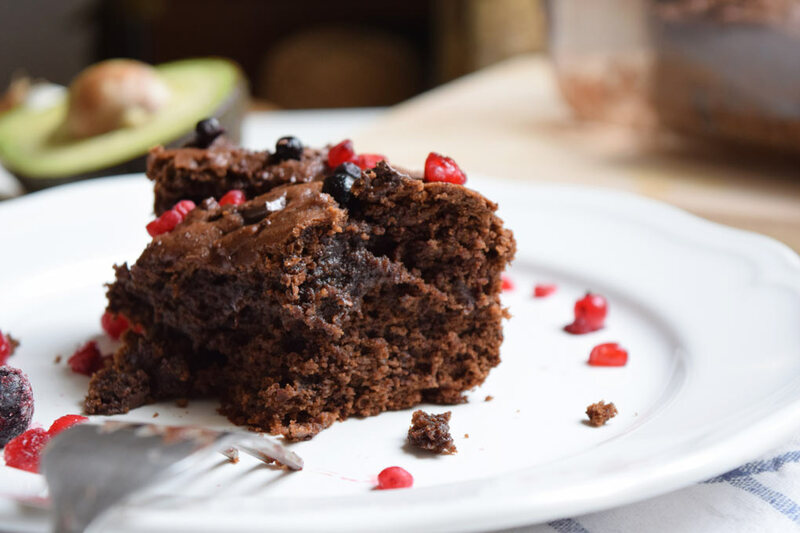 This vegan brownie made with a base of avocado is extremely rich. And if you are worried about the taste, no, it does not taste like avocado. 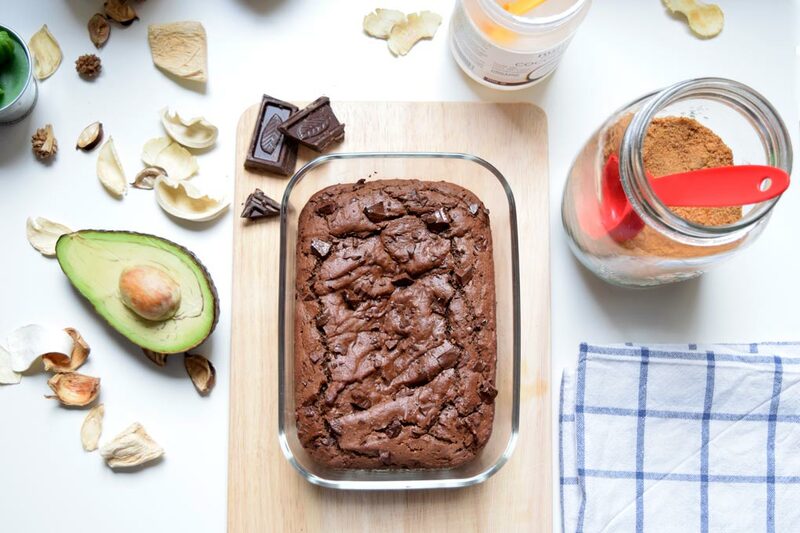 Avocado just provides texture, creaminess and consistency, in addition to making this brownie quite healthier. I gave this delicious goodness to a few person to try it. Being true with you, I did not tell this vegan brownie is avocado based because I know somes will think it is too “exotic” to be nice and maybe no one tries it then. So after the first bite, and after every one freaked out, I confessed it was made with avocado. Some people freaked out even more and others saw me with big eyes, although no one stopped eating ? ¿Why a Vegan Brownie made with avocado? 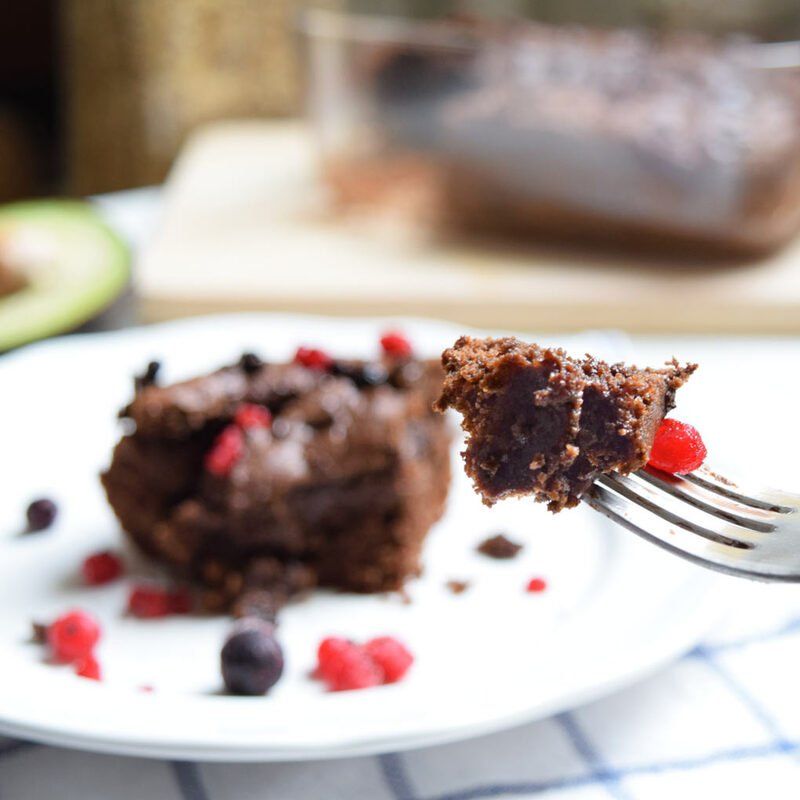 I saw another versions made with banana or with a chia/flax egg but I have wanted to use avocado as part of a desert for a long time. And I thought this was the ideal chance. On the other hand, I LOVE AVOCADO, it is great in a salad or on a toast, for example. Not only because its flavour (ands that’s a very good reason), but because its nutritional value. Avocado is rich in Vitamines C, K, E, B5 and B6, Omega 3, potassium and also in good fatty, the monounsaturated fatty. Even though it contains fats, do not worry! they are the healthiest fats you can have, they are well used by our body and helps it out to not accumulate fat. So avocado is good even if you are going on a diet. 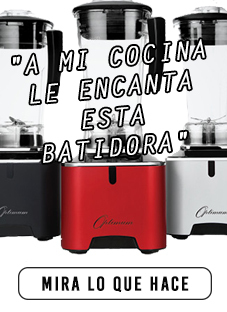 So why do not manage to make a healthy sweet with this great fruit? 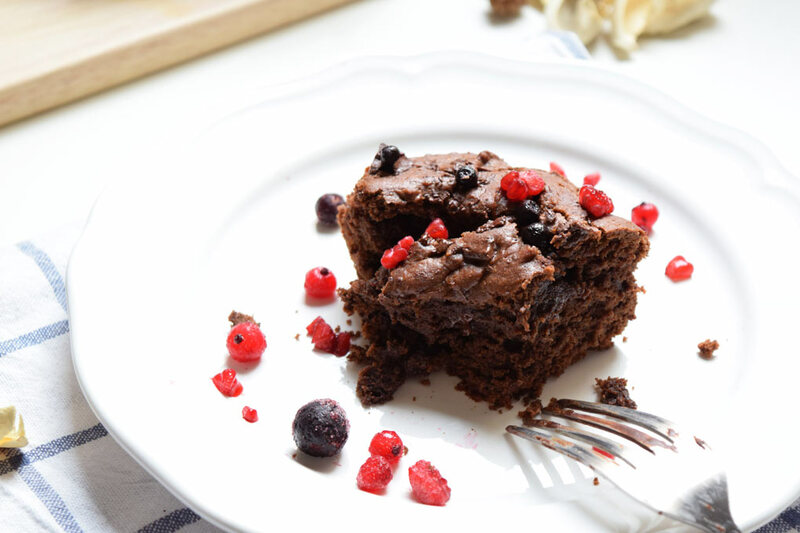 Finally, and just a advice, the best you can do is having a warm portion of this brownie topped with frozen berries or ice cream. And you’ll easily fall in love with it. Smash the avocado in a bowl, you can do it with a fork. Add this to the bowl and also the milk, unrefined sugar cane, salt and vanilla and stir well. Add little by little the flour and baking soda. Stir until smooth and add the chopped chocolate, combine well. Transfer this mixture to a greased mould (I used a little bit of coconut oil).and bake for 25 minutes.